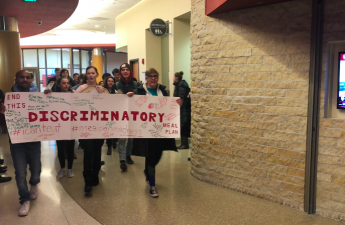 After coming to campus in January, University of Wisconsin students experienced a semester where UW released a report investigating the KKK’s history on campus and a number of protests about the controversial new meal plan and gun reform. The Badger Herald news team recounts these events and more in a recap of the biggest stories from this semester. 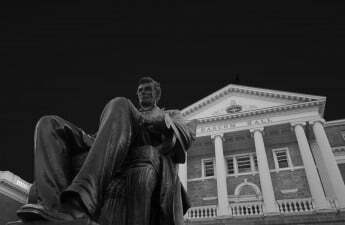 A report examining University of Wisconsin’s history with the Ku Klux Klan prompted students to file a hate and bias complaint against the university, citing the decision to not erase the names of former KKK members from two places on campus as harmful. The study group was formed by Blank in fall 2017, following a white supremacist rally in Charlottesville. It was co-chaired by UW history professor Stephen Kantrowitz and activist Floyd Rose, who is the president of 100 Black Men of Madison, an organization of black advocates for greater racial equity in the Madison area. The final report detailed two student organizations — one in 1919 and one in 1926 — who took the name “Ku Klux Klan,” and a fraternity Kappa Beta Lambda that was formed by openly affiliated KKK members in 1924. Two places on campus – the Fredric March Play Circle Theater and the Porter Butts Gallery – prominently display the legacies of two Klansmen to this day. The university committed to the study groups’ recommendations for improving campus climate which focus on larger problems of racism on campus instead of erasing the history of Klansmen on campus. One of the recommendations includes a public history project, which could end up costing $1 million. The study group also recommends “renewed commitment” to the departments of Afro-American studies, Chicanx studies, American Indian studies and Asian American studies. Furthermore, the group also said to increase investment in “high-impact” recruitment programs in the Office of the Vice Provost for Diversity and Climate while also retaining the faculty and students of color on campus. As well as increasing investment in the Advanced Opportunity Fellowships program, which benefits students from historically marginalized groups. 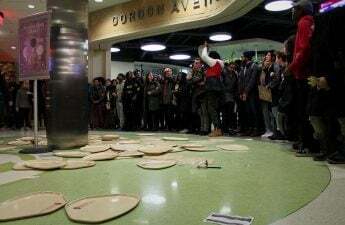 Less than a week after the report was released, students decided to file a hate and bias report against the university in response to its decision to keep the names of KKK members displayed prominently in the Memorial Union. UW senior Adan Raed Abu-Hakmeh found the proposal outlined by the study group inadequate in improving campus climate and posted her plan to file the report to her Facebook page. “The [university] tried to divert our attention to talking about initiatives they should’ve already been doing,” Abu-Hakmeh said. The hate and bias report cited the harm caused by seeing the names of Klansmen in places where students spend time studying and socializing. 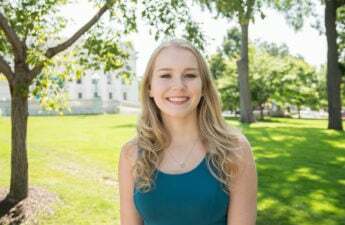 UW communications spokesperson Meredith McGlone said UW will review the student’s hate and bias report and respond with their usual procedures. 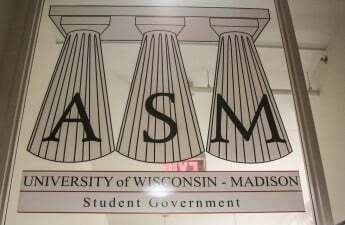 In March, a member of the Student Judiciary Committee opted to quietly resign after being reported for making anti-Semitic and homophobic remarks inside the Associated Students of Madison office. Former Student Judiciary Council General Council member Jacob Gardner released the statement announcing the resignation of the anonymous individual shortly after resigning from his own position within the club, citing “issues of ethics” as one of his concerns. Gardner identified two incidents of concern regarding ethics in his statement. The incidents were the open discussion of impartial cases and bigoted comment made by an individual. The comments made by the individual were both anti-Semitic and homophobic and allegedly said within the ASM office. An email exchange between SJ Chief Justice Will Olson and former SJ General Counsel Josh Gerrelts provided further details. Gerrelts allegedly used “gay” in a homophobic manner and used the phrase “Jewed out a win” in reference to a case. Gerrelts said he was surprised to receive the email and did not remember making those statements. Gerrelets ultimately decided to resign, even though he insisted he did not make the comments. He said he resigned for personal reasons and not to see his name get “dragged through the mud” during a public removal hearing. 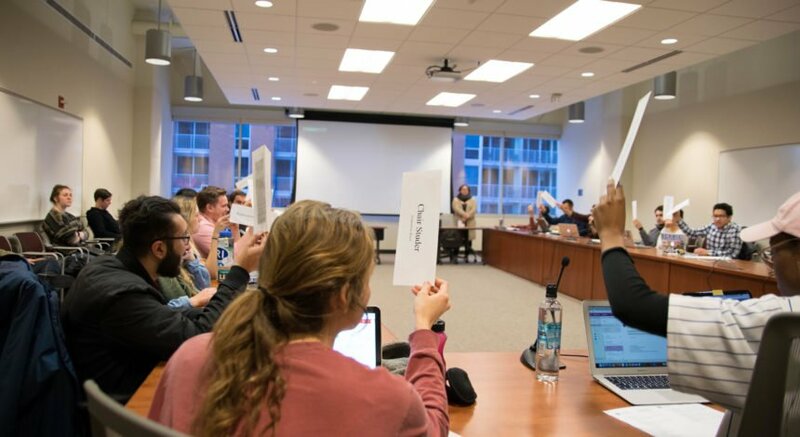 University of Wisconsin students expressed their dismay with the proposed changes to the meal plan in a number of protests throughout the semester. The meal plan, which was first announced in December, will begin fall 2018 and require all students living in UW housing to choose a meal plan with a minimum of $1,400. Since its announcement, the plan has received a variety of complaints from students, ranging from concerns for students with dietary restrictions and for low-income students who might not be able to afford the plan. At a February protest at Gordon Dining and Event Center, sophomore Rena Newman also expressed concerns with how students were informed of the decision. During a March protest at Four Lakes Market in Dejope Hall, students signed a poster that said “End this discriminatory meal plan.” The poster was taped by the University Housing office. University Housing spokesperson Brendon Dybdhal, who was in attendance during the protest, said the policy is not likely to change. Jeff Novak, director of the Division of University Housing, said the university has heard students’ voices and values their input. As a result, certain parts of the plan have changed in light of these discussions. Originally the money deposited toward the meal plan was supposed to last for one year only, but it will be rolled over from year to year, Novak said. The exemption process for students with dietary or religious need has also been solidified. Novak said of the 1,300 students who have signed up to live in university housing next year, only two have had questions about the new program and have been exempted from it. Furthermore, there will now also be an option to break down the meal plan into four installments of $350 for students who don’t want to deposit the $1,400 all at once. Novak also emphasized the new meal plan is a pilot that will be reviewed after two years by a shared governance committee, which will be comprised of faculty, students and staff. 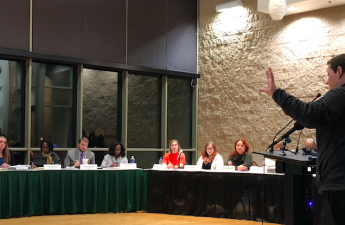 The committee, which will have eight total members, will accomplish this by evaluating how University Housing is meeting the needs of each constituent base the committee members represent on campus, Novak said. “With this new dining plan, I think it brought to light the opportunity to engage greater input from the larger student body that does not live on campus, and from faculty and staff, to make sure that we’re providing the best living experience and dining experience for all residents and customers,” Novak said. 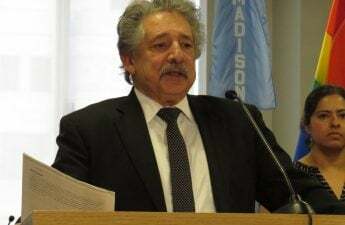 Dreams of Doritos Locos Tacos paired with beer quickly vanished the minds of University of Wisconsin students when Mayor Paul Soglin vetoed Taco Bell’s liquor license in mid-December. 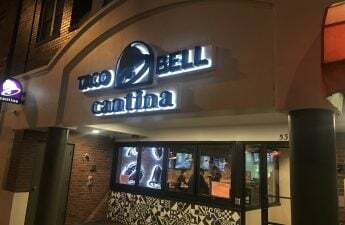 The City Council approved Taco Bell’s liquor license, but in his veto, Soglin said there is “little public value” in issuing the license and that it is unnecessary given how many other State Street restaurants serve alcohol. Also, issuing something that has little public value but “great public liability” does not make sense, Soglin added. 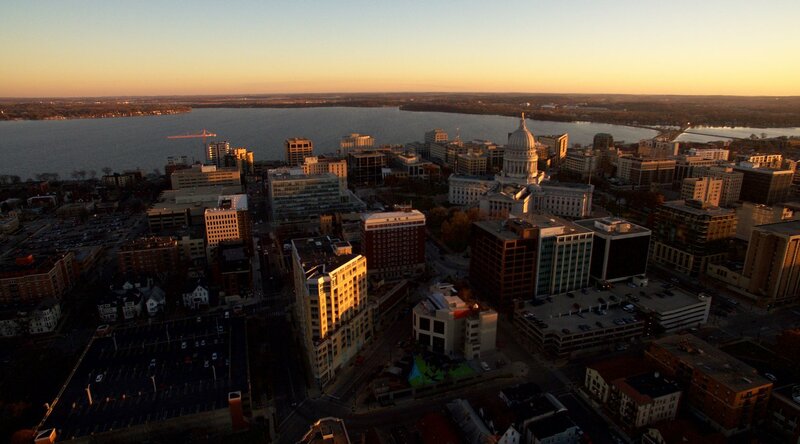 “Perhaps if the license was associated with a new hotel with its beneficial impact on sales at Monona Terrace or if it was associated with adding to Madison’s desire for fresh and healthy food, it would be another matter,” Soglin said. In addition, Soglin was concerned about the increased number of concerns about violence increasing downtown due to alcohol. But the Taco Bell saga does not end there. In mid-April, the company that owns Taco Bell sued Soglin and the city of Madison. In the lawsuit, Bell Great Lakes L.L.C. alleges Soglin acted unfairly because shortly after Taco Bell’s liquor license was denied, other restaurants with identical restrictions had their liquor licenses approved — including Chen’s Dumpling house at 505 State Street. Ald. Mike Verveer, District 4, said the City Council encouraged the company to apply for a liquor license at a later date but they resorted to a lawsuit instead. “I am disappointed [Bell Great Lakes] filed suit against the city,” Verveer said. After several months of discussion among various Madison government boards, the City Council finally voted unanimously in April to remove a Confederate monument in Forest Hills Cemetery. 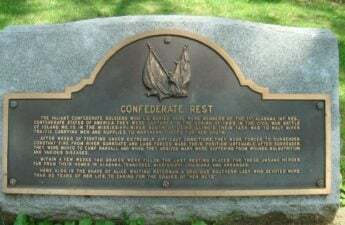 This decision came almost eight months after Mayor Paul Soglin ordered a Confederate Rest plaque to be taken down. The larger monument — a stone cenotaph — named the 140 soldiers held captive at Camp Randall during the Civil War who were buried in the Confederate graveyard, as well as a woman who tended to their rest sites. One Madison resident, David Blaska, saw this as reason to keep the stone marker. The Council was not in favor of Blaska’s opinion by the end of the meeting after debating three different courses of action. One proposed construction of an explanatory sign next to the large monument, one sought to divide the monument into two pieces and move one into a museum and the third, ultimately passed proposal, called for complete extraction. Supporters of the the third option, like Ald. Shiva Bidar-Sielaff, District 5, argued the historical significance of the cemetery can be learned from a textbook, instead of memorialized by a controversial headstone. Madison resident Leonard Cizewski was in agreement with Bidar-Sielaff, citing the racism the monument represents, even with an explanatory sign. Many Aldars opposed the amendment suggesting an explanatory sign, causing it to fail in a 5-13 vote. Ald. Barbara Harrington-Mckinney, District 1, pointed to the nationwide removal of monuments that romanticize inhumane enslavement as a basis for expunging Forest Hills Cemetery of the Confederate plaque. The plan for removal will now move to the Landmarks Commission. “Although the debate at times has often been awkward and uncomfortable, it has reminded us, the living, of the unfinished work which they who fought fifteen decades ago sought to advance,” Levitan said. In January, Dane County announced more measures to keep people with mental health and substance users out of jails. This move was in an effort to reform Dane County jails with the #RethinkJails campaign. Sequential Intercept Mapping is one of these measures, which will identify existing community resources for improving communication between mental health, substance abuse and criminal justice professionals. Dane County also hosted a Mental Health Workshop with law enforcement, mental health providers, community service workers and community members focusing on how to deflect people with mental health or substance abuse out of jails. Colleen Clark, Dane County criminal justice counselor says those things do not belong in jail. 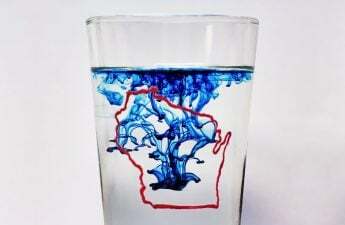 “Dane County is resource-rich, so we are attempting to do this mapping to really make sure those resources are used to the utmost,” Clark said. 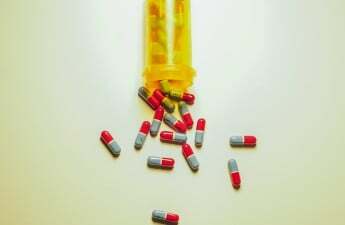 Diversion is another aspect of the reform in Dane County which has been going on for years. Additionally, Dane County Board Chair, Sharon Corrigan said there are 28 programs in place in the County to reduce the population in jails. 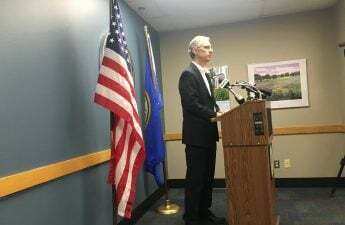 The goal of these programs is to identify new strategies for Dane County and to more of both front-end diversion and re-entry work so inmates don’t end up in the “revolving door,” Corrigan said. 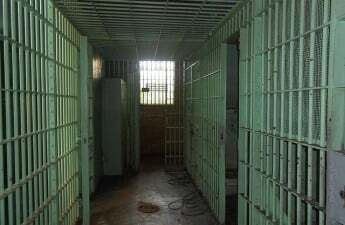 Elise Schaffer Dane County Sheriff’s Office spokesperson said diversion brings many benefits to inmates, giving them more freedom but also keeping them in check. Schaffer said it benefits the community as well, as it keeps numbers down in the prison and keeps workers employed with their families. “If someone qualifies to be on jail diversion, there are lots of benefits to it,” Schaffer said. 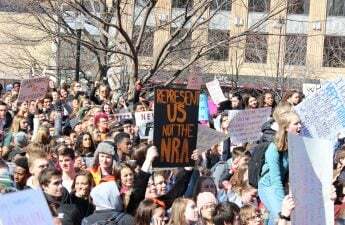 In wake of the Stoneman Douglas High School shooting in February, thousands of Madison area high schoolers and University of Wisconsin students walked out of class in March in solidarity with the student survivors. This walkout was one of many organized across the United States on March 14 and is now known as National Walkout Day in honor of the 17 victims of the mass shooting. From the steps, speeches dictating the real fear that is attending school in American society hit the ears of a mostly student audience. Maggie Murray, a high school student, said she learned how to protect herself from a shooter at five years old. Organizer Dija Manly spoke about an incident at La Follette High School, when a student brought a loaded gun to the school’s premises in February. But politicians are not at fault for not stopping gun violence, Manly said. The day’s events were mostly planned by high school students from the Madison area who wore neon orange t-shirts. Students also drafted and delivered a letter demanding Gov. Scott Walker for changes to gun purchasing laws, the banning of bump stocks and limiting magazine capacity. Protesters were met with support from Rep. JoCasta Zamarripa, D-Milwaukee, democratic candidate for governor Kelda Roys and Dane County Executive Joe Parisi. Milwaukee County Circuit Court Judge Rebecca Dallet’s win over conservative judge Michael Screnock in the race for Wisconsin Supreme Court Justice earlier this month marked what could be a turning point in Wisconsin politics. 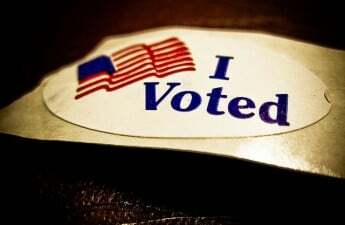 With the support of multiple Wisconsin liberal groups and a historically high voter turnout, Dallet won several counties President Donald Trump took in the 2016 presidential election, suggesting a shift in voter preferences toward candidates with more liberal views. Democratic Party of Wisconsin Chair Martha Laning said in a statement she knows Dallet will deliver balance on behalf of the people. “I know she will lead with our Wisconsin values and be an enthusiastic advocate for Wisconsin families on our state’s highest court,” Laning said. Though the court will still remain primarily conservative, Dallet’s appointment is a huge victory for Democrats and will shift the conservative majority from 5-2 to 4-3. This “blue wave” has further leaked across the state, with Democrat Patty Schachtner winning the special election in the 10th Senate District over state Rep. Adam Jarchow, R-Balsam Lake, and across the country, with Doug Jones becoming the first Democrat to win a Senate seat for Alabama since 1992. Furthermore, House Speaker Paul Ryan’s announced retirement serves as additional evidence of the blue wave effect traveling across the country and also as a warning sign to other Republicans, said Barry Burden, a UW political professor and director of the Elections Research Center.